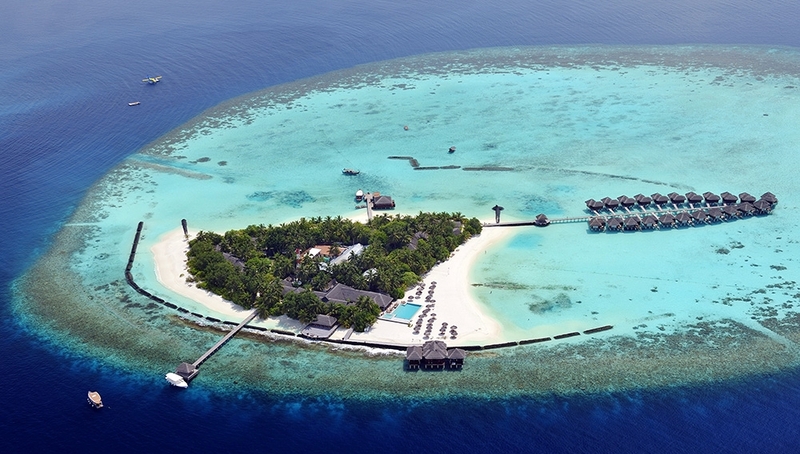 A disc of brilliant turquoise blue water surrounds the picturesque island of Maafushivaru. The tiny island boasts a stunning lagoon, a broad beach of pure white sand and a thick canopy of coconut trees. The beach and pool villas are tucked away behind the tropical foliage while the water villas are set overwater of the purest azure; teeming with marine life. 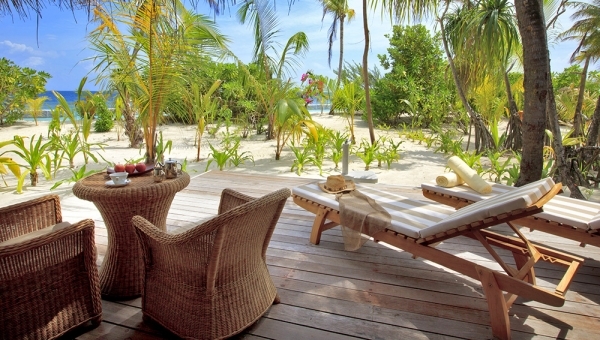 If you’re looking for picture-perfect tropical seclusion and good value you can’t do much better than Maafushivaru. you to relax in whilst you wait for your flight. Refreshments and complimentary internet access are offered here. 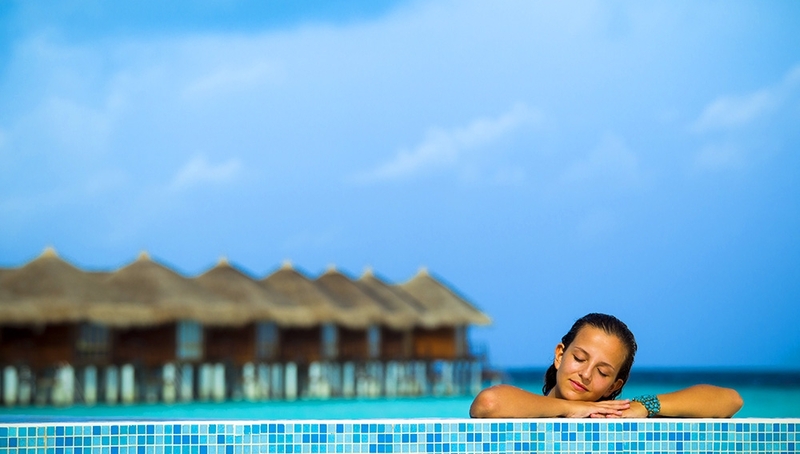 Among resorts in Maldives, Maafushivaru is the typical island epitomizing all that one dreams of when thinking of the Maldives. With its small island charm, lush vegetation surrounded by powder-white soft sand, and a house reef that a myriad of tropical fish call home, the island is just over 350 metres in length and can be walked in just 10 minutes and a bit! 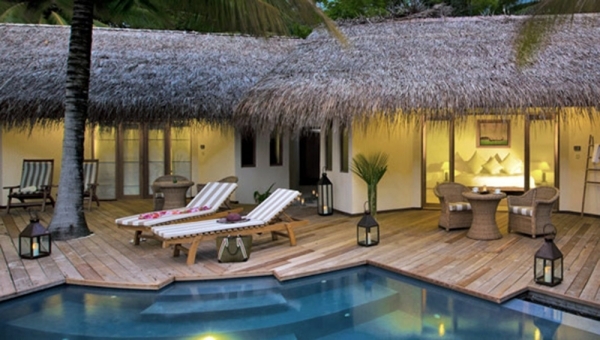 Pool Villas can accommodate 6 adults and are perfect for families and friends travelling together. Maldivian night is an opportunity to experience the Maldivian style of music and dance, Bodu Beru, when local team members of Maafushivaru perform for you. On other evenings the range of entertainment is on offer at the Water Bar or discotheque and includes live music, movie night and mellow chill-out sounds. A schedule for the week’s entertainment is posted in the reception area. 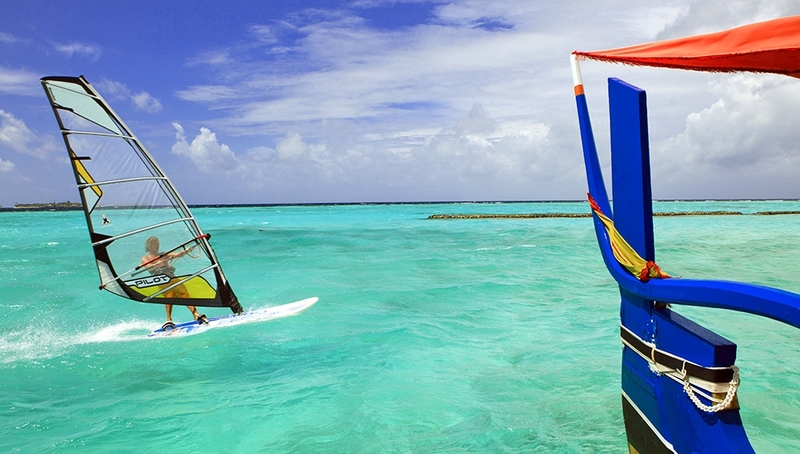 Our water sports centre has a range of windsurfing equipment, catamarans, canoes and pedaloes. 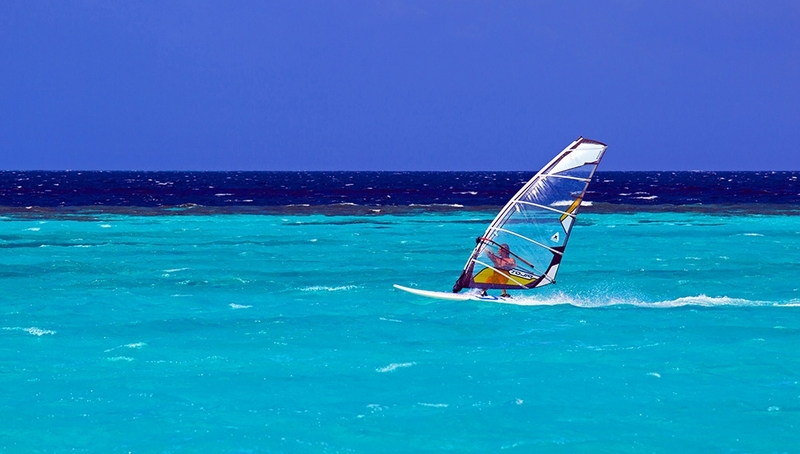 If you are new to windsurfing or sailing, our staff will be happy to ‘show you the ropes’. We have something for everyone from an hour on the water or a full day away. Select from the list below. While away a quiet afternoon on the deserted island of Lonubo. Visit one of the local islands, Dhangethi, with its typical Maldivian village, for a taste of local lifestyle and culture and maybe do a little souvenir shopping. Take a full day island-hopping trip with a beach barbecue for lunch. For fishermen (and women!) go Big Game Fishing for Wahoo, Barracuda or Sailfish on one of the half day or full day trips. 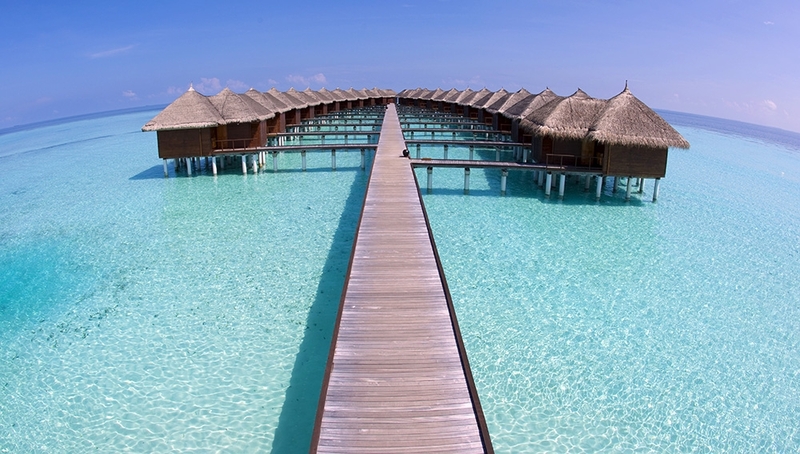 Alternatively, go trolling, another popular recreational sport in the Maldives, where a fishing line is drawn by a local Dhoni through the bountiful waters. Common catch includes Rainbow Runner, Wahoo and Yellow Fin Tuna. Another great sunset experience is to go fishing from a dhoni which will take you out to the reef as the sun sets. Hopefully you will catch your own fish for lunch the next day. 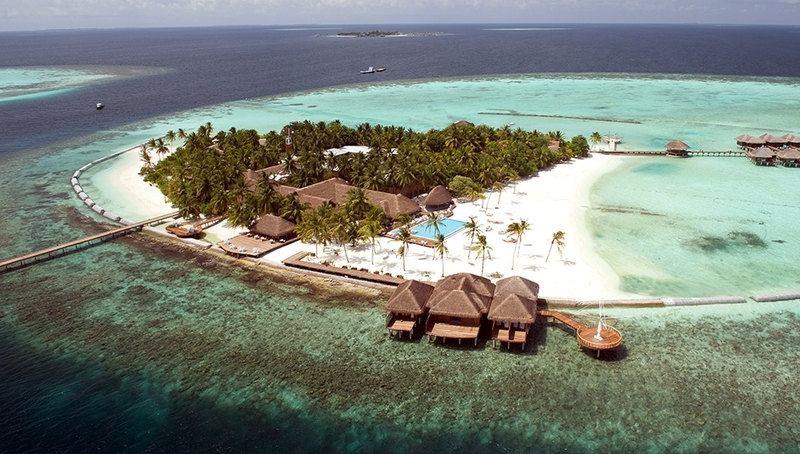 For a more private experience you can hire a dhoni for the day and explore the islands to your own schedule. Hop on and off as the mood takes you. Stop and snorkel whenever you want. Snorkelling is a must in the Maldives. If you don’t want to dive, or in addition to diving, you can see so many different vibrant corals, colourful fish and even turtles just from the surface of the water. Our team is available to help beginners gain their first taste of the wonderful underwater world in the lagoon before progressing to the house reef and even a boat trip to snorkel at the Coral Garden. For more experienced snorkelers there is a range of full morning snorkel safaris by boat to other reefs, all guided by a marine biologist who can help you identify what you see. Choose from spotting manta rays at Manta Point (seasonal), swimming with whale sharks at Ocean Reef, turtles in Boli Thila and a whole range of colourful fish and corals at Bodu, Kuda, Clementhila or the Sandbank. Maafushivaru is lucky to be located just a few minutes away from some of the best diving and snorkelling sites in South Ari Atoll. We offer a wide range of diving and snorkelling trips to enable you to most experience the wonders of the underwater world as well as activities on the water, including windsurfing and canoeing. For the ultimate romantic dinner for that very special occasion or even just to spoil your loved one, why not book an intimate dining experience in a private setting for just the two of you? 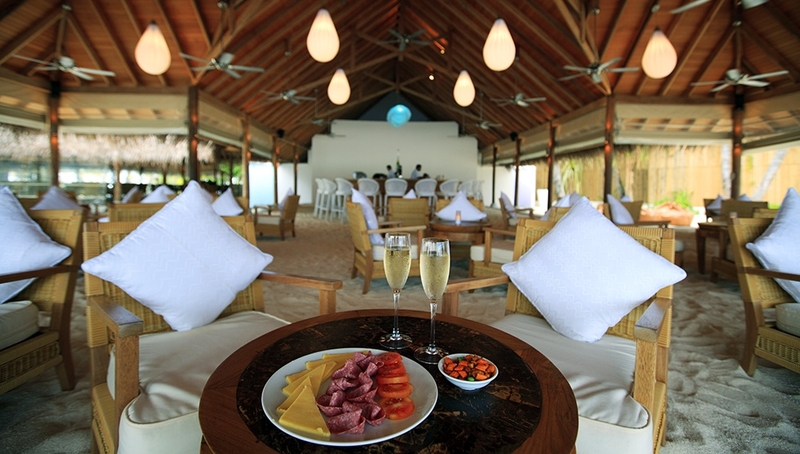 For the crème de la crème in romantic experience why not hire your own private island for the evening? Your personal chef and waiter will prepare a sumptuous meal before leaving you to relax alone, together under the stars. To ensure guests the ultimate Maldives holiday experience, Maafushivaru offers some of the most distinctive dining options among luxury resorts in Maldives. The main restaurant is the ´Cuisine Gallery´. There is also a coffee shop, the ´Library Lounge´ which is open all day. The ´Wine Chiller´ features a walk-in room with a wide selection of wines which you can browse and make your special choice to have with dinner, whilst the ´Water Bar´ is open for all types of drinks from 9am till late. For evening dining, in addition to the buffet, the resort offers an à la carte selection instead of the buffet or a choice of private dining experiences for that ´special occasion´. Another à la carte option is ´135° East´ our Teppanyaki and Sushi restaurant. À la carte dining and private dining experiences are not included in the all-inclusive packages. You can choose from our impressive selection of quality wines from around the world or sample some of these at one of the wine tasting sessions. You can choose from the impressive selection of quality wines from around the world or sample some of these at one of our wine tasting sessions. This coffee shop serves a range of teas, speciality coffees such as cappuccino and espresso, or hot chocolate during the day. High Tea is available here between 15.00 and 17.00 for guests on the All Inclusive package. In this lounge there is a supply of books and magazines which you can borrow and read at your leisure or board games to while away a few hours. 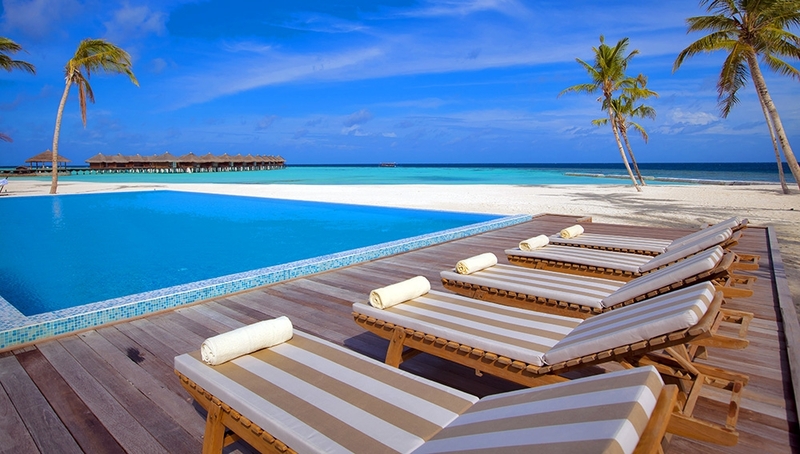 The main restaurant at this Maldives luxury hotel puts on a wonderful buffet selection, sure to leave you tempted to ´just try that little bit more´, and features airy, open seating. There is an additional terrace overlooking the lagoon. Seating is on a first come - first served basis. The chefs have creatively designed sumptuous buffets which successfully combine international fare with local flavours. Breakfast offers a wide choice of cereal, fresh pastries and breads, fresh fruits, juices and a ´cooking station´ where eggs, waffles and pancakes are freshly prepared to your liking. Lunch consists of lighter foods with a variety of salads, soup, hot dishes, pasta and fresh fruit. At Dinner there is a wide selection of courses from the wonderful Mediterranean-inspired buffets which are regularly infused with local flavours. 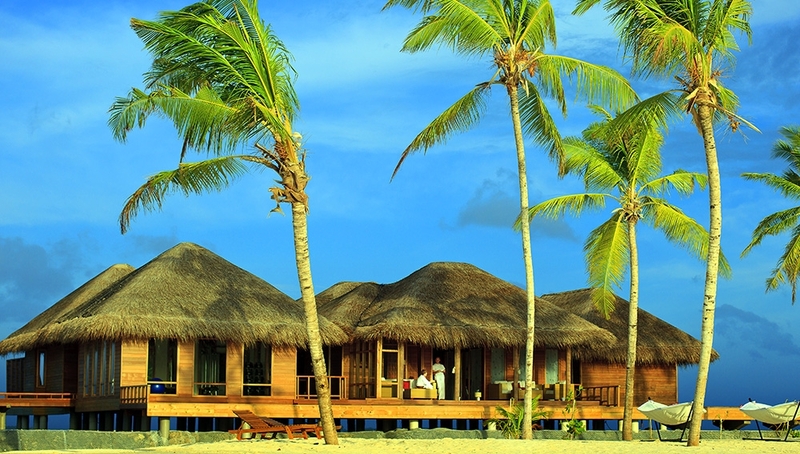 Tuesday night is ´Maldivian Night´ when you have the chance to experience some of the local dishes. In the evening there is also an option to order from the `a la carte menu which features a selection of our favourite dishes. 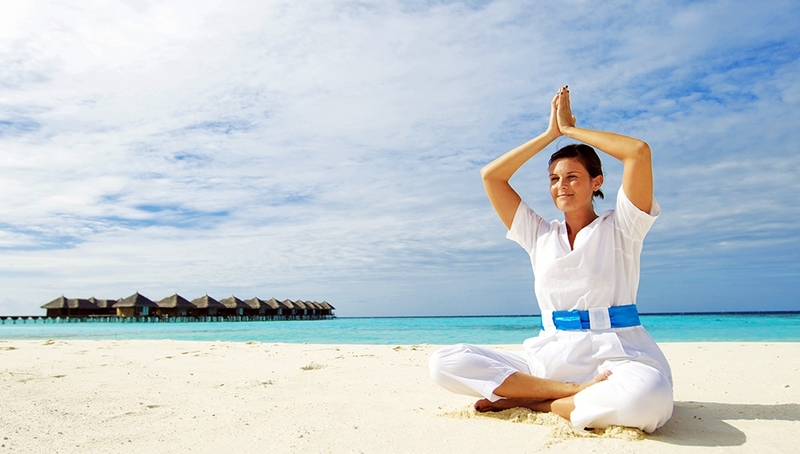 Maafushivaru Spa… the truly natural well-being experience. Situated on a quiet corner of the island on its own jetty, the spa is the place where we blend inner beauty with the beauty of the landscape. Each treatment we offer at our spa resort in Maldives is individually designed to help you realise your ultimate state of well-being. 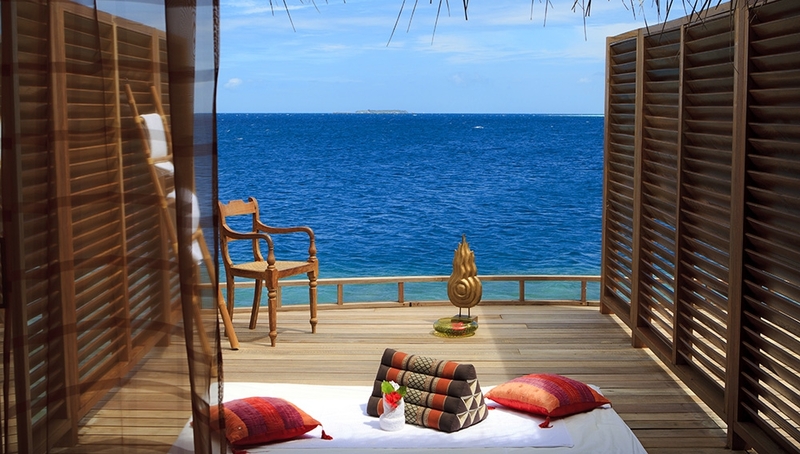 The Maafushivaru Spa is set on the water with a unique and privileged view to the lagoon. Our facilities include 5 treatment rooms, consisting of 1 couple´s rooms, 1 couple´s suite, 1 aesthetic beauty care room and 2 massage rooms. Flower Decoration On Bed On Arrival, Fruit Basket, Candlelit Dinner With A Bottle Of Sparkling Wine.